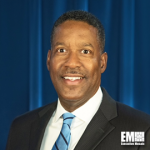 Peter Edge, formerly acting deputy director at the U.S. Immigration and Customs Enforcement, has joined SOS International as vice president of corporate security at the Reston, Va.-based government services contractor. SOSi said Wednesday the retired Senior Executive Service member brings more than 32-year law enforcement experience at the federal and state levels to his new position. “Under Peter’s leadership, our goal is elevate the entire spectrum of internal security activities we undertake ranging from industrial security to insider threat investigations,” said Julian Setian, SOSi president and CEO. Edge previously worked as special agent at ICE and its predecessor U.S. Customs Service agency. He was named deputy associate director for homeland security investigations in 2011 and promoted to deputy director last year. In his more recent role, he managed the agency’s $7 billion annual budget and supervised approximately 20,000 law enforcement and support personnel deployed worldwide.